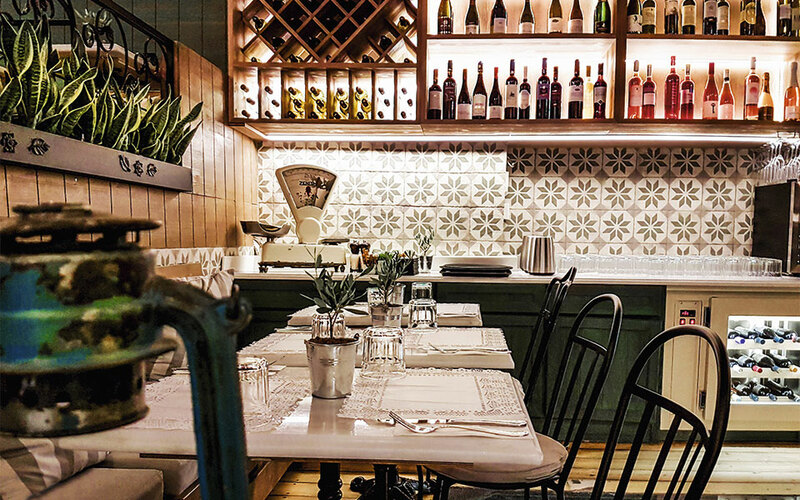 Here are the latest additions to the restaurant scene in Greece that have already made an impact. People eat out in Greece – a lot. 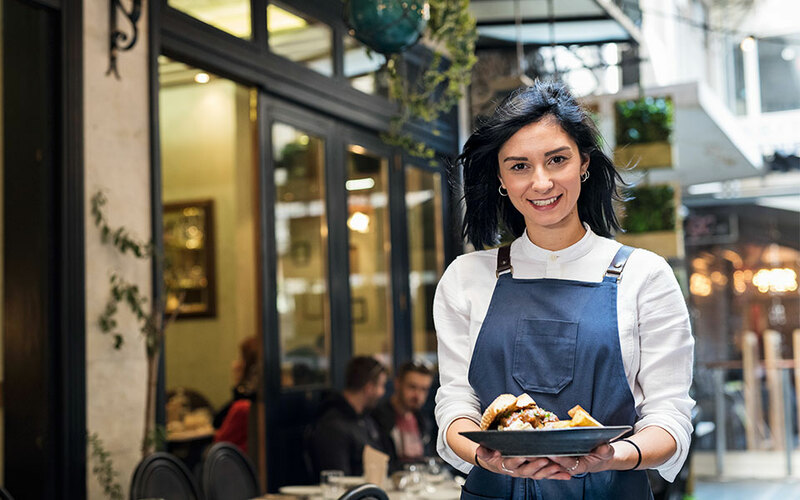 That tradition, combined with what we like to call the ‘Greek food revolution’ that’s happening right now, means that there is a ton of great things going on in the restaurant scene. Tracking and evaluating all of these exciting new developments was no easy task, but we’ve managed to put together a list of our absolute favorite new restaurants, collaborations, and menus across Greece that should be on any foodie’s check list. In our favorite collaboration of 2017, the establishments of Trap and MeZen came together to create a concept never seen before – and made it work perfectly. 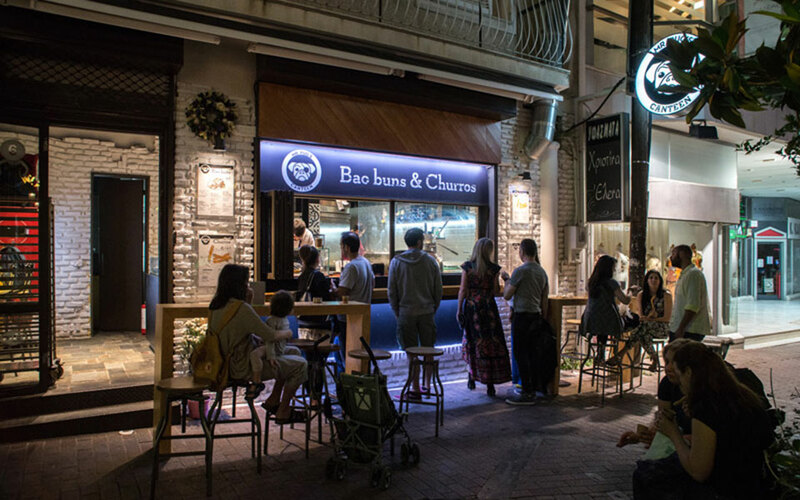 The kitchen of Trap in Athens became the new home of the cooking of Volos-based MeZen. What does that mean in practice? A perfect pairing of delicious, high-quality meze dishes, with equally high-quality Greek spirits and classic cocktails adapted with Greek ingredients. In the mornings, Trap works as a café, serving coffee, yogurt bowls and sandwiches. From 13.00 to 19.00, aperitivo is the operative word; gourmet meze dishes like galeοs (school shark) ceviche are paired with light cocktails or tsipouro. 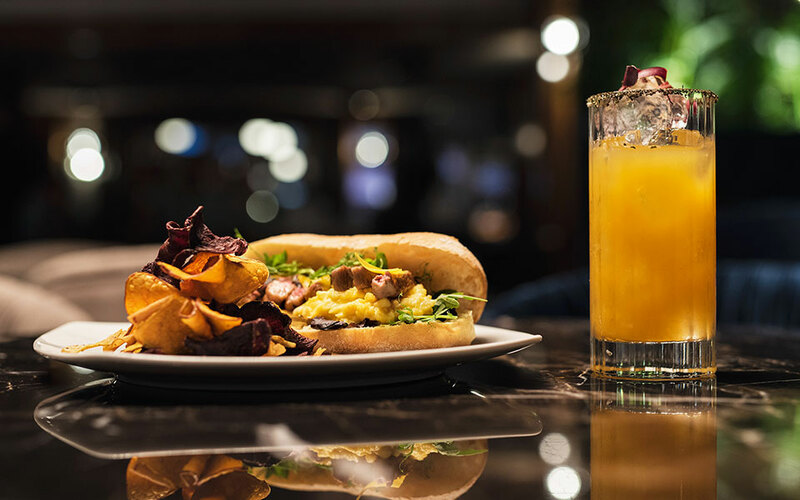 On Sundays, the popular brunch menu includes traditional Greek dishes that have been given a makeover, such as tomato beef stew sandwiches. A new hole-in-the-wall where you can see straight into the kitchen has opened up next to the well-known Asian restaurant Mr Pug in Halandri. Mr Pug’s Canteen serves Taiwanese/Chinese street food to die for. We love the fluffy and light bao buns filled with crispy chicken, cucumber and peanut butter, or sweet and spicy pork and vegetables. But maybe the best ones are those stuffed with duck, bean sprouts and a sweet sauce. Add to this Asian perfection some Spanish churros, and we have international street food heaven. We love the ones with salted butter caramel. N.M.
For a quick bite, you can’t go wrong at Vasilis Kallidis’ new Asian street food joint. 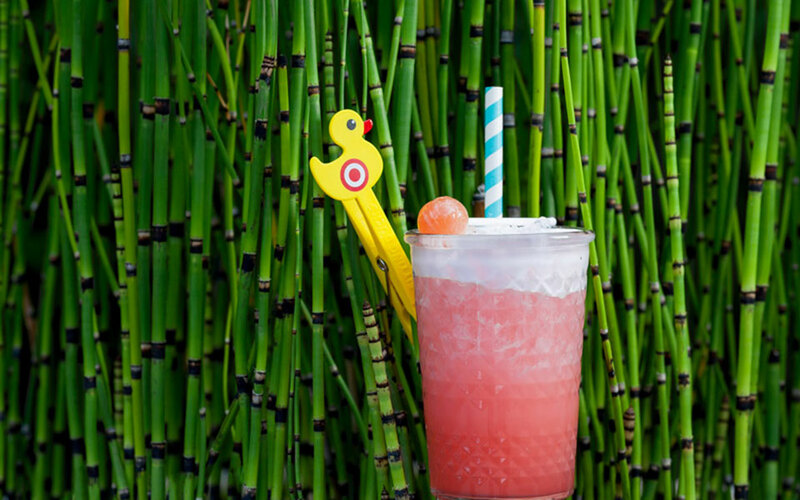 The tiny Pink Flamingo serves dim sum and baos, offering meat-based as well as vegan-friendly options (dim sum with sweet potato, lentils, peas, sweet chili and peanut butter). The bao fillings are different every day; the one with Peking chicken, crispy onions and hoisin sauce is delicious. You can get them to go, or enjoy them at one of the few tables you’ll find upstairs and on the sidewalk. All dishes are prepared from scratch at their off-site kitchen. N.M.
Α new boutique hotel on Mykonos, Kensho features a gourmet restaurant that’s well worth a visit, with an incredible menu created by chef Giorgos Stilianoudakis and pastry chef Dimitris Chronopoulos. Try the poached eggs with Cretan staka (goat’s milk butter), or the slow-cooked tender lamb with chards, cream cheese and broth. End your meal with a “Gastrin”: the ancient version of a baklava, or the “Mastic” with lemongrass ice cream. N.M.
Ornos, Mykonos, Tel. +30 22890.29001. Open during summer only. This summer’s hottest new addition to the Mykonos restaurant scene was Wolves of Kitchen. Meat focused, they offer Black Angus beef from the US Creekstone Farm and meat from European animals from the Simental Farm, all of which is aged to perfection in the restaurant’s dry aging fridge. 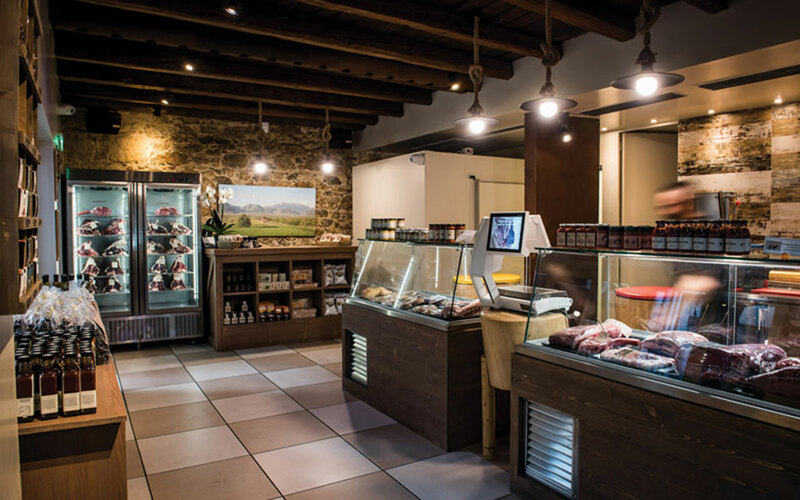 They also work closely with the Mykonian branch of the butchers Drakoulis M-Eat to create the perfect cuts. Whether you choose a flank steak, a tri tip, a tomahawk or a porterhouse, you can be certain it will be grilled just right. Appetizers and salads are all made with local products. N.M.
Ornos, Mykonos, Tel. +30 22890.25660/23529. Open year-round. Just across from Syros’ famous Apollon Theatre in Ermoupolis, you’ll find a chic new restaurant with a beautiful hidden garden. 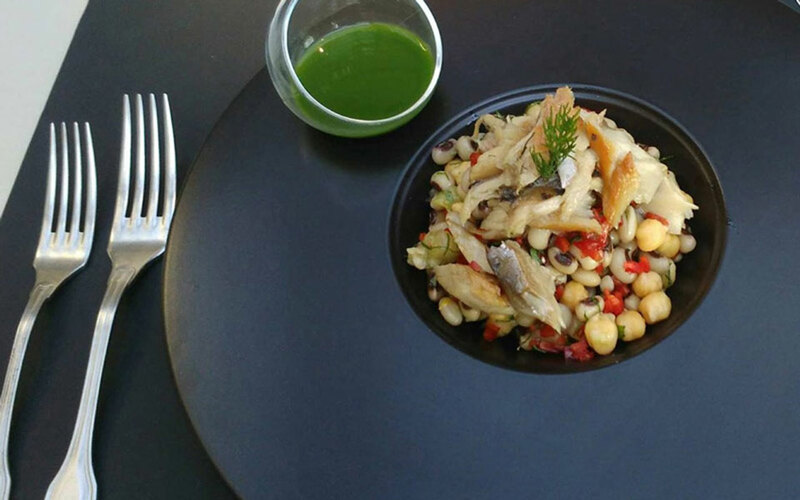 Young chef Kostantinos Bourantas presents a fine menu based on local products. The beets with volaki cheese, soured milk, apple and smoked walnuts is a wonderful dish packed with winter flavors, and the rabbit with artichokes and gnocchi is also very good. The shi drum fish and spinach risotto, and the seafood fettuccini with saffron and tarragon are also among our favorites. N.D.
Across the street from the Apollon Theatre, Ermoupolis, Syros, Tel. +30 22810.79416. Open year round. Giorgos Venieris is mostly associated with exotic cuisines and complicated cooking methods, but here, at Farma Mykonos by the sea in the bay of Ftelia, his menu lists traditional taverna-style dishes – that is, the dishes of old, truly authentic and good tavernas. Using only seasonal ingredients from around the Aegean, good vegetables of which 60% are homegrown, no sugar and simple traditional cooking techniques, its comforting, Greek food all the way. Some of the most interesting items on the menu are the skordalia (garlic sauce) with fresh herbs, the mutton bolognese with local cheese and the Mykonos-style pies with onion or honey. Prices are reasonable for Mykonos (35-40 €/person). N.M.
Ftelia, Mykonos, Tel. +30 22890.72361. Open during the summer season only. This is not a new restaurant, but what is new is that Mythos by Divani, located by the sea in the chic area of Kavouri on Athens’ south coast, is now open two days a week in the winter as well. On Fridays and Saturdays you can enjoy music events and a menu of seafood-oriented dishes cooked with Greek and Asian techniques. We enjoyed the king crab tartar, the seafood dumplings with soy sauce, the sea bass carpaccio, and, above all, the shi drum with cauliflower puree. The desserts include contemporary versions of Greek pastries and are excellent, and the bar serves refreshing, light cocktails to welcome you and a delicious citrus liqueur to end the night with. The only thing we didn’t like was the use of out-of-season ingredients, such as the strawberries in the quinoa and shrimp salad. Next time we go we plan to try the ramen with mussels and bottarga. There are also meat dishes on the menu. L. K.
The people behind Warehouse in Exarchia (41 Mavromichali, Tel. +30 215.540.8002) made the right move when they opened their second establishment, Warehouse CO2, between the neighbourhood of Plaka and Syntagma Square. It is the perfect location for their excellent list of local and imported wines, several choices of sparkling wines, and wine-based cocktails. Pair your drink with delicacies like oysters, a pumpkin salad, and smoked trout with chickpea puree and black truffle. They also serve coffee from the Wisecup Coffee Roasters. N.D.
1 Yperidou, Syntagma, tel. +30 210.324.7048. Already a point of reference, this old-timey urban kafeneio (traditional café) is an all-day hangout with great prices and wonderful flavors. In the morning, Greek coffee should be enjoyed along with a piece of Turkish delight from Sikourti (a 2017 Gastronomos Awards winner). There is also breakfast, and a short list of meze dishes by Andreas Lagos. From the winter menu, we can recommend the beef fillet with smoked eggplant puree, the amazing minced meat pie, the pasta with rooster, and the stuffed cabbage rolls. Three good bottled tsipouros are on the menu (Zacharia, Pyros, and Kardasi). They also serve ouzo and wine, by the bottle or by the glass. For dessert, there are several retro options, like a chocolate baked Alaska with red berries. N.D.
On Dimitrakopoulou Street, not far from the Acropolis but surrounded by car workshops, you’ll find 7 Cactus. It would be a well-hidden neighborhood secret were it not so good, but word has spread quickly. The tarts and pies are good, and you can design your own sandwiches by choosing from a selection of charcuterie and cheeses from small producers. The chickpea patties in tomato sauce with feta and grilled cherry tomatoes are also delicious. A perfect place to visit with kids, but the small space does fill up quickly, especially over the weekends, so it’s a good idea to make a reservation. 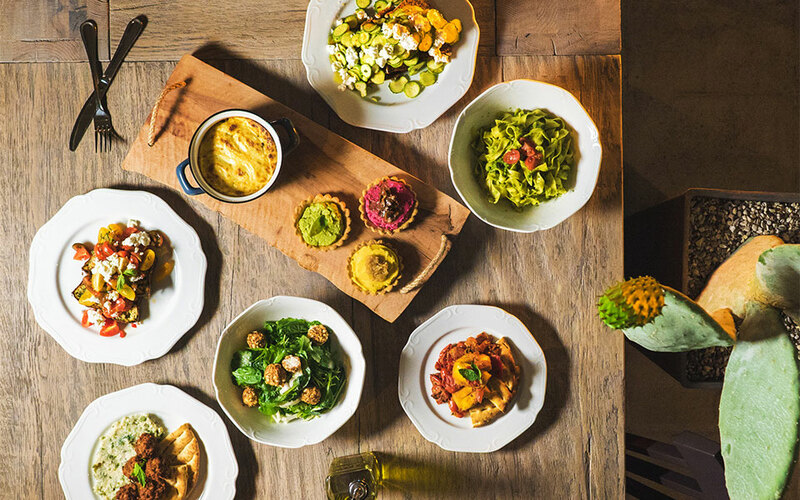 N.D.
With a unique concept featuring brunch-like Greek-Italian street food (using PDO products from both countries), ambitious desserts (15 kinds are made daily), and drinks – Italus is different, and it works. Four kinds of bread are offered together with cured meats from Drama, cheeses from small Greek producers, as well as good prosciutto and mozzarella. In the morning, try the Focaccia Margherita with cheese and cherry tomatoes or a smoothie served in bowls with a generous helping of energy-boosting foods. Or head to the dessert bar (the display case with the desserts) where you will find classic recipes with a twist, such as a version of Red Velvet cake with lemon cream and turmeric, or pancakes with white chocolate and Oreos. Decorated with style and comfortable seating, and with a dedicated non-smoking area, it’s the perfect spot for getting some work done on your laptop while enjoying a light lunch, or having an early drink after the office. N.D.
Bralou Farm took over two new city locations last year. One is a butcher shop, and the other, further down the same street, is a restaurant, cooking the farm’s quality meats to perfection. You’ll find Charolais, Limousin, Aubrac, and Black Angus meat here, in any cut you prefer. Bralou Farm are experts at dry aging, and you can get a steak that’s been aged for as long as 120 days. Your cut is weighed and then cooked to your liking, and you only pay the price of the meat. They also serve black pig and ‘exotic’ poultry such as duck, goose, pheasant, partridges and quails. Chef Michalis Nouroglou serves your choice of protein with delicious mashed potatoes or fries. For dessert, choose between various traditional comfort-food options made with products from the farm. N.D. In the summer, it’s a garden oasis in the center of the city. In the winter, the indoor space is stylish and atmospheric. Fabrizio Buliani cooks food that feeds your soul. The Italian uses the ingredients he knows best, like burrata, porcini mushrooms, generous amounts of olive oil, seafood, and ravioli, all always perfectly seasoned and delicious. At the bar you’ll find drinks by Xavier Misailidis from Holy Spirit, as well as Ilias Marinakis, Diamantis Iliadis, and Stelios Raltos. The cocktail list includes drinks based on cognac and rum, new versions of old classics, more challenging options and tiki cocktails that resemble those we know from Holy Spirit. There is also a list of aperitifs and digestifs to complement your meal. N.D.
Vasilissis Sofias and 1 Petrou Kokkali, Megaron, Ampelokipoi, Tel. +30 210.7242979. Open until 02.00. 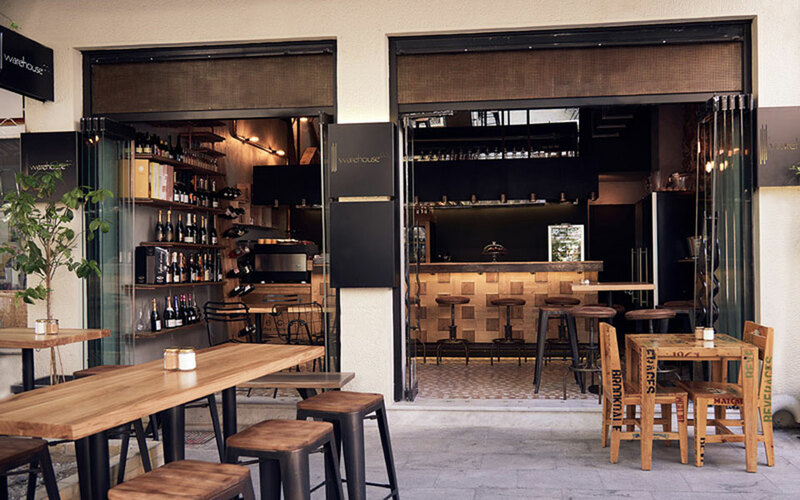 Reopening in a new location – again, Food Mafia is looking to repeat the success it enjoyed in the southern suburb of Glyfada and in central Athens. 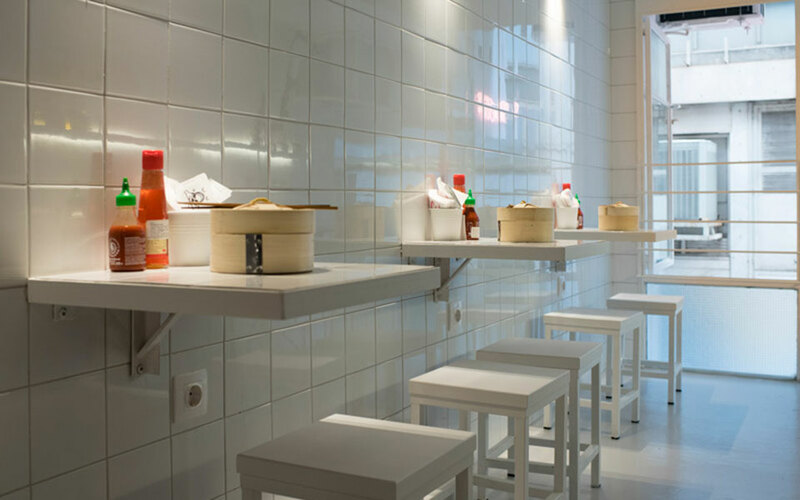 The chef is inspired by various cuisines and techniques, with street food being the general theme. American, Asian, and Greek dishes – often with a focus on meat – will make your mouth water. Aside from always being drawn to innovative cooking, we will gladly come back just for the fries, which are fried three times and topped with white truffle, pecorino nero and Madagascar black pepper, as well as for the Caesar salad with aged anchovies. We also like the very Instagrammable bestseller: ‘The Burger 2017’, and the dressed up version of the Wendy’s-style mushroom melt. Any one of the dishes involving meat cooked in the wood-fired oven is also reason enough to come here. N.M.
We were prepared to be harsh in our reviews of the “new” 42, simply because we loved it so much when it was in the hands of mixologist Christos Chouseas. However, the updated 42 Barstronomy holds its own, even when compared to its history. The bar has been taken over by the experienced Spyros Kerkyras, who creates tasty, balanced cocktails with innovative choices of ingredients. The food comprises traditional bar food by chef Stamatis Marmarinos. Try the delicious burger with truffle mayonnaise, and the cheese tempura with honey, vegetable chips, and avocado cream. N.M. Thanks to the reputation of new head chef Andy Lay, Oozora is now the place to be. English/Chinese sushi chef Lay presents an impressive menu. His sashimi (with lobster, red mullet jalapenos and more) is cut with the precision of a surgeon. 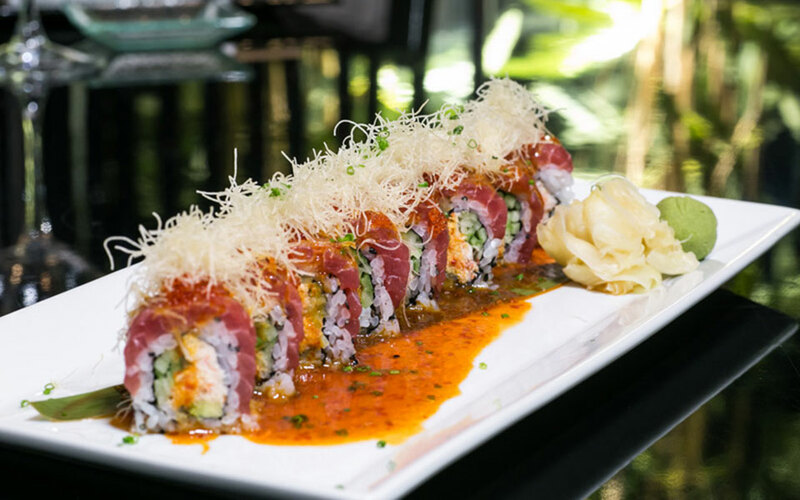 A platter of maki, nigiri, sashimi and vegetarian options will please every palate. Aside from Lay’s sushi, there are also spicy dishes on the menu, such as the excellent pad thai and the wonderful jumbo shrimp with truffle ponzu and jalapenos. The new dessert menu is made by the talented Spyros Artelaris. N.M.
Steak House by Kiku, on the second floor of Yoleni’s, is another restaurant that invites you to choose your own cut of meat, which is then cooked for you. 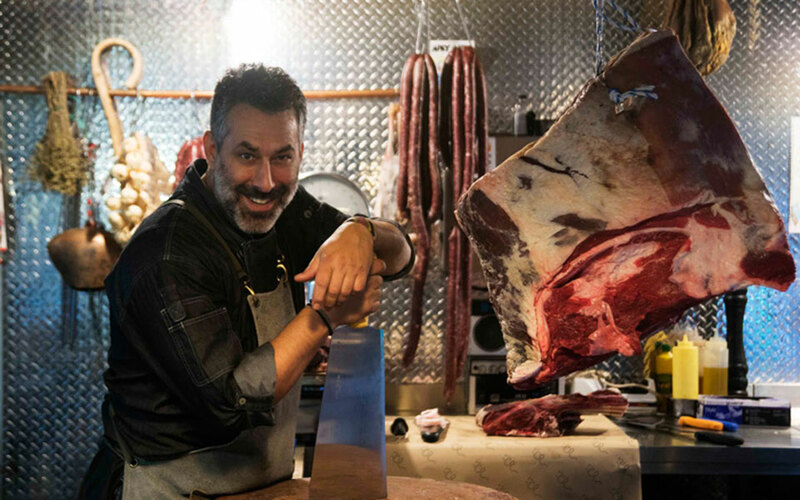 The excellent meat is from butcher shop Carnicero, from which you can also buy some cuts to take home (it also has outlets in the suburbs of Psychiko and Kifissia). Tasty starters and salads include “mastello” cheese from Chios with raisins, and quinoa and avocado salad. The burgers are really good, but the best thing to eat here is ribs or steak. Tomahawk, dry-aged rib eye, and chateaubriand are great options, cooked with skill. 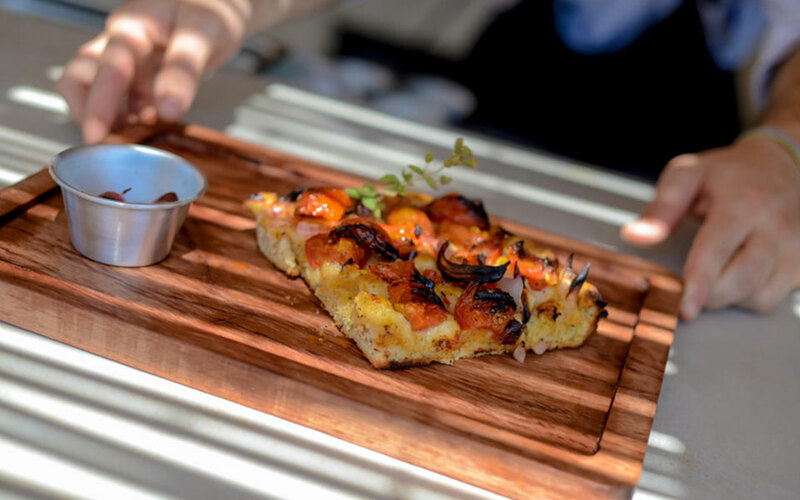 N.M.
Pizzas made from fresh dough and cooked in a wood-fired oven is a tried and true recipe for success. Our favorite at Crust, the Snow White, has parmesan, fresh mozzarella, wild mushrooms, Italian smoked pancetta, and prosciutto cotto. The Lemmy, with spicy country-style sausage, goat cheese and caramelised onions, is another great option. In fact, we’ve liked every pizza we’ve tried here. The crust is thin and crispy and the amount of toppings is just right – neither too little, nor so much that each slice becomes overloaded. You can grab a stool, buy a slice to enjoy on-the-go, or take your pizza home. In the basement, music nights are regularly organized featuring live punk bands or DJ sets. The menu also has 7-8 different beers to accompany your pizza, also reasonably priced. L.K. 13 Protogenous, Psyrri, Tel. +30 210.325.7179. Open Sunday-Thursday 17.00-02.00 and Friday-Saturday 17.00-04.00. 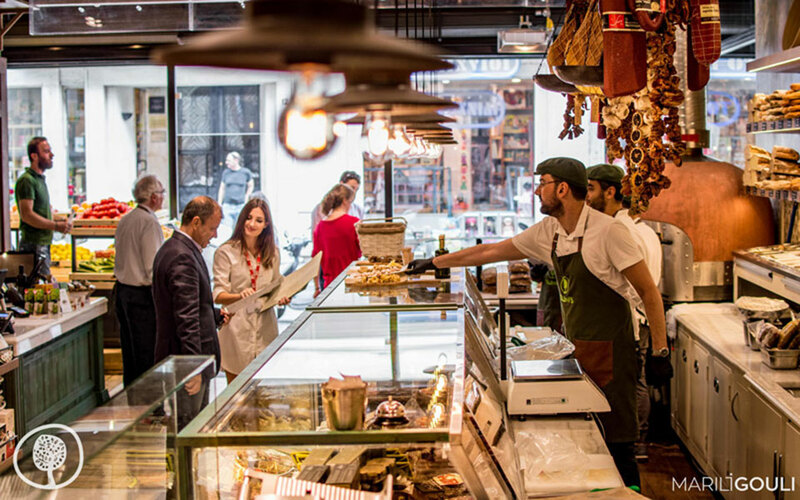 Chef Vasilis Akrivos also chooses to focus on meat at Gidi, but he does so with a more traditional approach. And there is more than good steak on the menu. We love the “makarounes” pasta with meat broth, melted myzithra cheese and Cretan staka (goat’s milk butter); and the lamb liver with oregano. Giannis Koustenis, who used to be a butcher, mans the grill. Dry-aged mutton from Tyrnavos, handmade pork sausages and more go on the grill beside the steaks. All of the meat on offer is Greek. N.M.
17 Tatoiou, Metamorfosi, Tel. +30 210.282.8848.